Holovis will be presenting a next generation ride concept at IAAPA 2017 that harnesses the company’s expertise with real-time media to create truly personalised experiences for each guest. 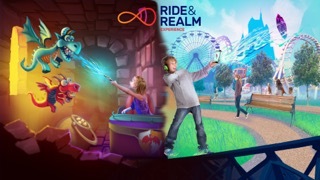 Ride and Realm gives guests the tools to be able to choose their own adventure then personalizes the experiences they have based on these interactions. It begins with a media based attraction that immerses people into the heart of a story and uses on-board interactive technology to put the control in guest’s hands. As they leave the ride, guests download an app to extend the narrative into the park, solving puzzles and unlocking achievements, before returning to the starting point, where the experience in the dark ride will have evolved to reflect their progress. Peter Cliff, Creative Director at Holovis explains: “Ride and Realm presents a near limitless experiential attraction that is always different and truly re-ridable. Whatever you do within the ride or across the park has a real-time impact into the adventure that unfolds before you. This is more than just gamification and non-linearity; this is letting people determine their own destiny whilst being at the heart of a multidimensional, compelling narrative.